Markers, pens, and paper fill one of our kitchen drawers; I like having those materials easily accessible to my kiddos as they will often have periods of "needing to draw." I don't even want to know how many pieces of paper are used during these phases-- they come and go quite frequently! I do enjoy their creative spirits as I have one, too! 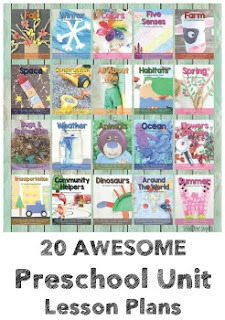 I try to add in some sort of craft or art project into our learning. My right-sided brain needs that! 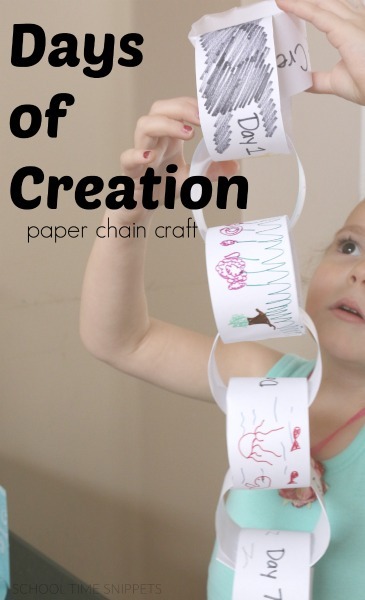 After reading a short snippet of the Creation Story, Little Sis and I created a simple Days of Creation Paper Chain craft. Little Sis is quite the artist. Nevermind our craft supplies, she is often raiding my kitchen cupboards to use for her art creations. Just the other day she comes waving a jellyfish made of aluminum foil! Another creation was using plastic wrap for hair.... I gotta say, I love her creativity--- most of the time! I do love that she is so creative, but I enjoy giving her guidance in her art so that she isn't using up all of my supplies! I pulled out Bede's History of US that I had purchased a while back but never used; the book is a very gentle introduction to history. It begins with Creation and then gives a page to some person, or time in history. 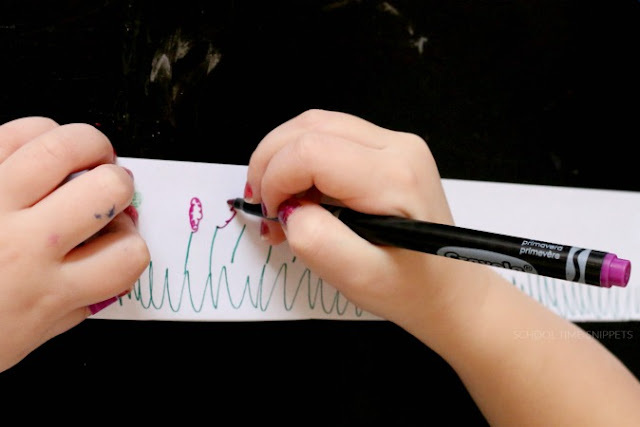 She's heard the Creation story from our bible readings and at Church, so this activity was simply a chance to let her creativity flow and allow her to create her own images of the days of creation. I took two pieces of paper and folded them into fourths-- the long way. I cut each strip along the fold. On each strip I wrote a day of creation- Day 1, Day 2, Day 3, etc. I read through the short Creation story that was included in Bede's History of Us and then had Little Sis create pictures describing what was created each day. Day 2: God created the sky to separate the waters. Day 3: God created dry land and plants. Day 4: God Created the sun, moon, and stars. Day 5: God created the ocean animals and birds of the air. Day 6: God created land animals, and Adam and Eve. Day 7: He declared it was good; he rested. After creating our paper chain, I noticed quite a large error! The book mentions that the 'land beasts' were created on Day 5, but they in fact were created on Day 6 along with man. Totally didn't catch that one! Loved watching Little Sis create her pictures for each day of creation! 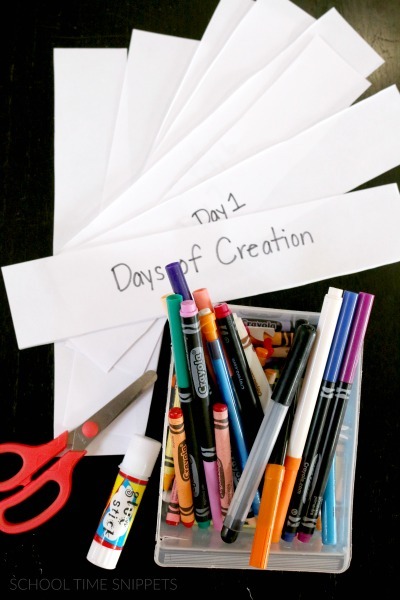 After completing the Days of Creation paper chain, you can use this activity to re-tell the creation story to someone else. This activity is a great way to reinforce comprehension, and add a little creative arts to learning about the bible.